If you were stranded on a deserted island and have a PowerPort Solar 2 what would you do with it? So this topic here https://community.anker.com/t/your-ultimate-anker-product-let-s-talk/61551/1 gave me an idea. The majority of the people on that thread voted to have a PowerPort Solar 2 if they were stranded on deserted island. This gave me a vision of a bunch of geeks on an island with nothing but solar panels and nothing to charge or power with them. So this got me to thinking. What would you do with this solar panel? I'll start off with my first idea and you guys come up with your own creative ideas. use the positive and negtive poles to create a spark and start a fire. 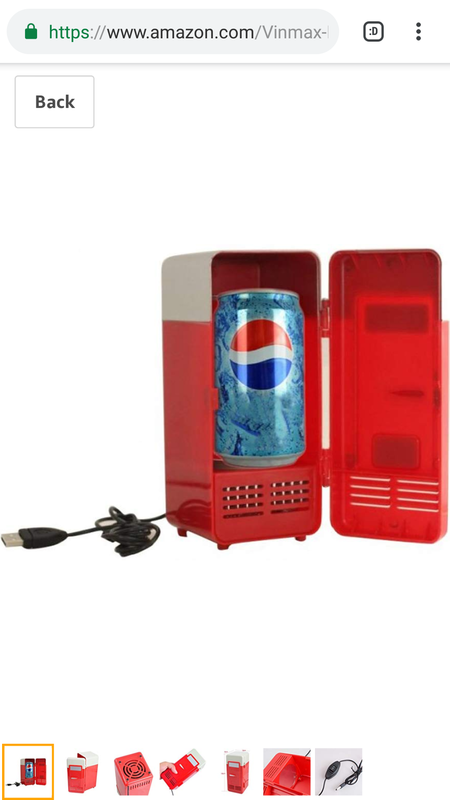 Are there any fridges that can run off USB to keep the beer cold? Why would you have a Solar panel but nothing else? I use Solar but I carry solar because I carry devices needing power. - a very very large storage phone type device. e.g. My phone has 256GB storage but probably add some high capacity storage and OTG cable. I'd then prepare by downloading loads and loads of videos for offline viewing. - a good quality waterproof bag, if not two to handle moving in rain storms. I do see the idea of making a spark but there is no need, a knife is all you need typically, flint+stone and you wait for a dry period and then make tinder, and you keep that tinder away from damp and then strike the knife over the stone to make a spark on the tinder so you can make fire fairly easily if you are able to begin with dry stuff. If you had no knife then find a harder type of stone and throw it against rock to make a sharp object, then use that to make sharper objects. If you had a permanent home you'd keep a fire going continually away from rain and the fire is drying out the next set of fuel nearby to then be used as fuel. It is not complicated, our ancient forgotten ancestors figured that out. We used fire to then store calories from excess food into typically winter, we'd dry out food, salt it e.g. find a sea-facing flat-ish area and then separate it off to make a salt-flat and let summer heat evaporate off water and then the salt left we steadily hoard, or we use wood to boil seawater, that salt then preserves meat in excess periods to use in otherwise famine periods. Fire also smokes food (fish, etc). We then use yeast to convert excess carbohydrates into beer which is preserves them from vermin. Hence you get smoked fish, corned beef, beer. When you combine the fact that humans evolved to basically be able to live at 100Lb of weight up to 300Lbs of weight to store energy within out bodies, is how we got here (not extinct). Probably the hardest part is that the human has in one organ the weakest part and the strongest part. A human can think itself out of a problem but also if left alone can think itself into a problem too (worry, depression, make up myths like gods). I just did a 4 days off-grid and I did verify I can keep everything fully charged with solar and from that I am doing a 3 weeks off-grid next month. I'd go with the lc90 because of it's strobe feature to fend off any wild animals that might come sniffing around my campsite. Oh and a volleyball to make my very on Wilson. LC40 strobes. I own 3 of them and just tested. LC90 used to be a good choice but LC40 smaller with belt clip then made it my fave. I buy them and gift them away. Yes, Castaway shows what happens in a simpler world, the human invents mythical creatures out of their imagination. Hence religion. Zeus, Thor, Osiris, or any of the current popular mythical equivalents. As I said, the human makes solutions but makes problems. Fine line. 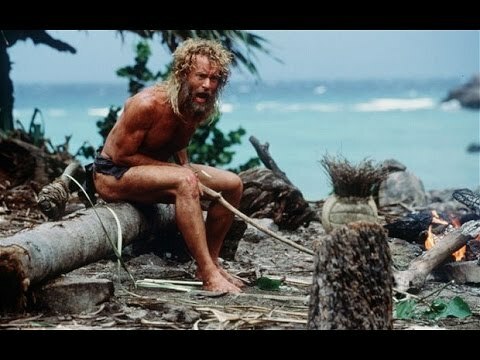 I like Castaway, accurate and good example of what happens to a human alone. He did make fire eventually and kept that fire in a cave away from damp to then cook seafood. He also proved the genetic reason and benefits afforded within humans of being able to get fat, he lived off those fat stores while he learned to find food. If you can make beer on a deseted island I want to be stranded with you. Deal. I'll make the beer once you ploughed the field and harvested the wheat. Might end up wine if its fruit.